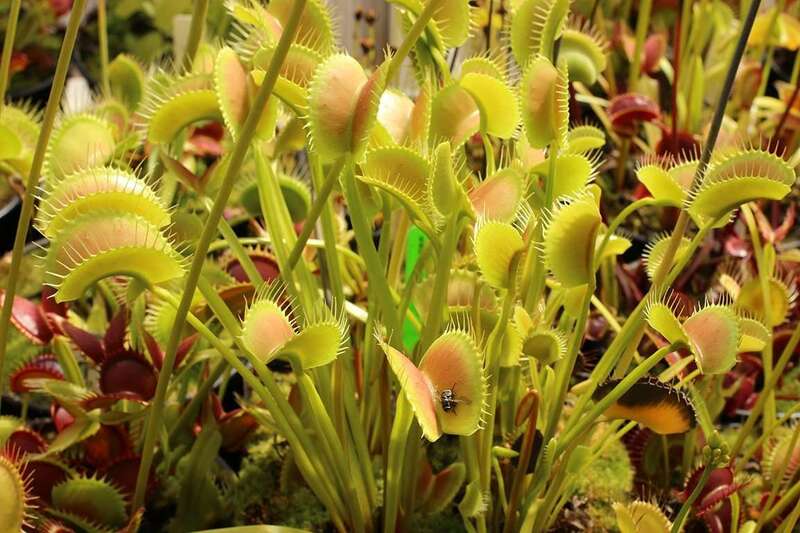 King Henry is one of the largest varieties of Venus flytraps around and a must-have for your carnivorous plant garden. 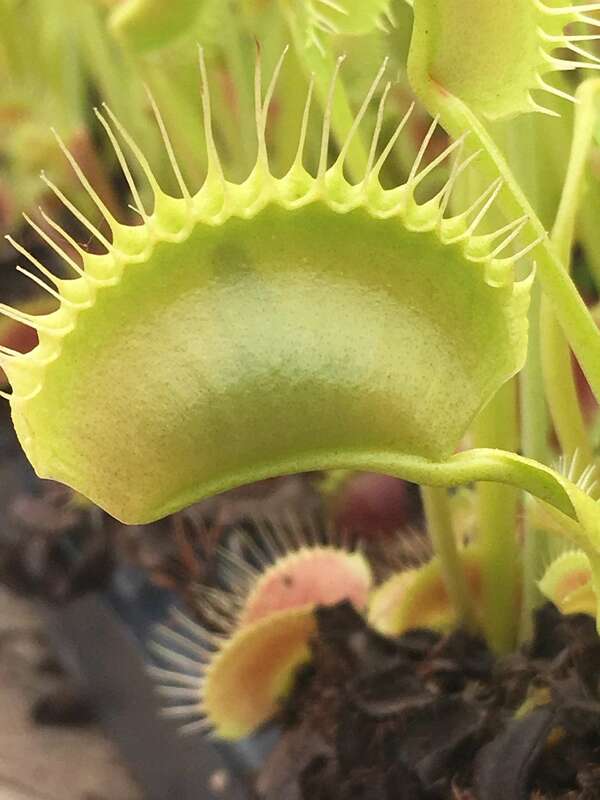 Given a deep pot and healthy growing conditions, the flytrap will reward you with 2 inch traps at the end of long leaves/petioles. 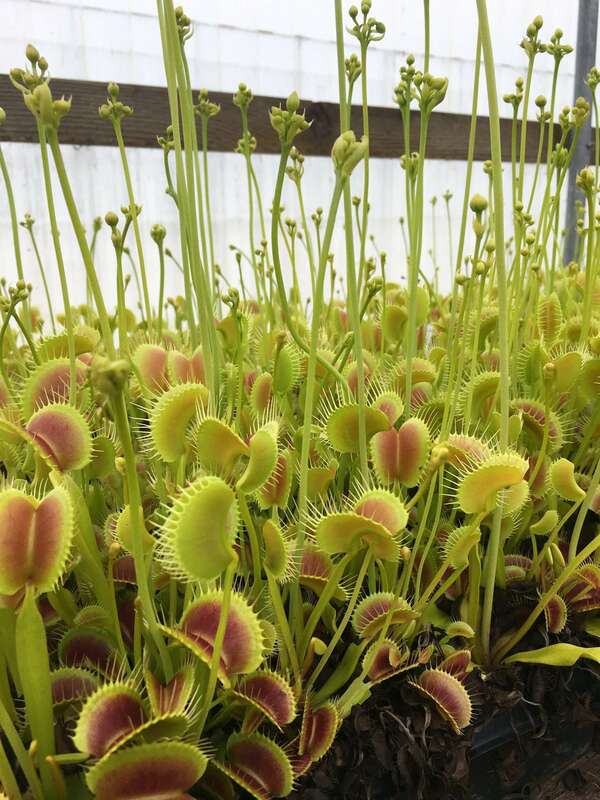 The plants for sale are mature, and there’s a limited stock, so pick one up today! 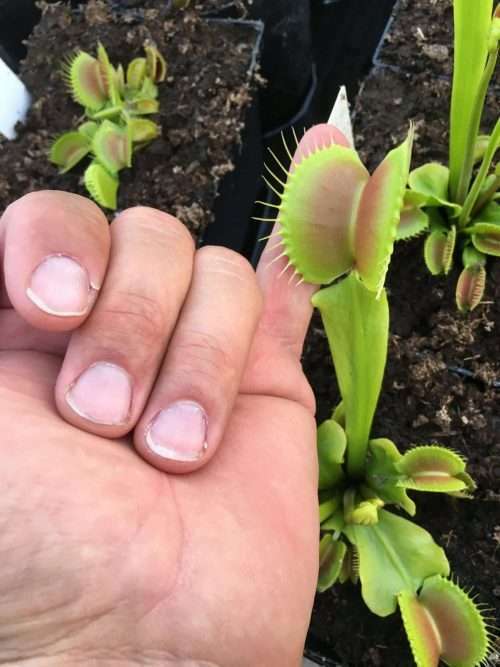 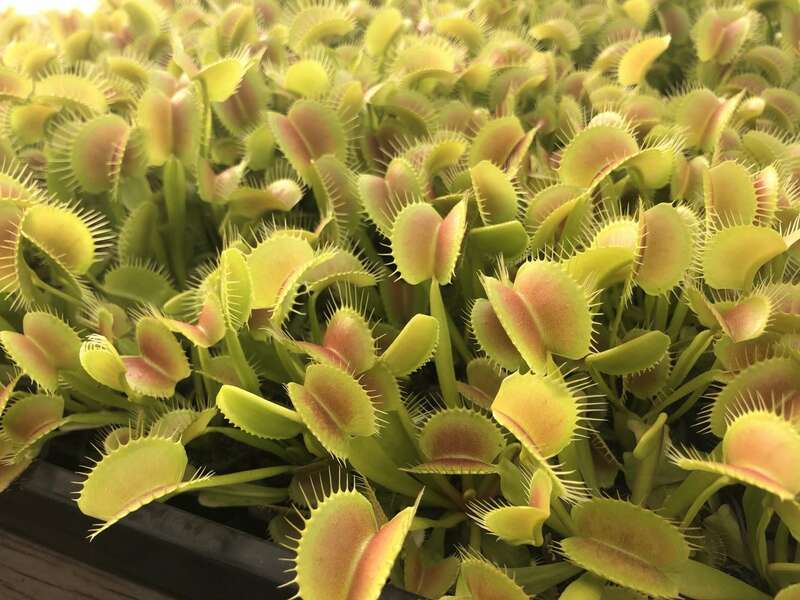 Dionaea ‘King Henry’ is a vigorous grower, regularly holding 6+ traps at one time, and producing offshoots that you can let cluster into a glorious Venus flytrap bush, or divide into individual specimen plants. 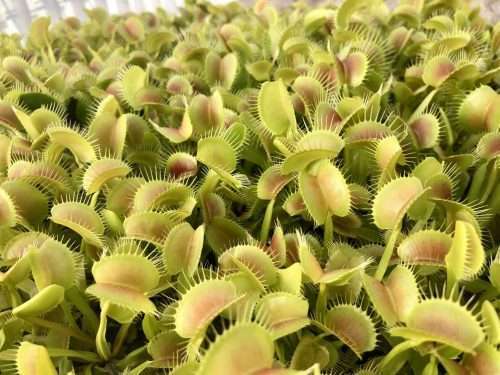 Shipping note: Mesa Exotics charges $10.00 flat rate shipping to the continental US regardless of how many flytraps you purchase. Plants ship every Monday and Tuesday and they normally take about 2 days to reach you. 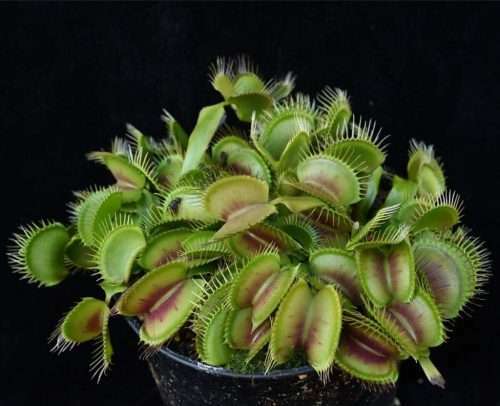 Venus flytraps are dormant during winter and ship bare root. 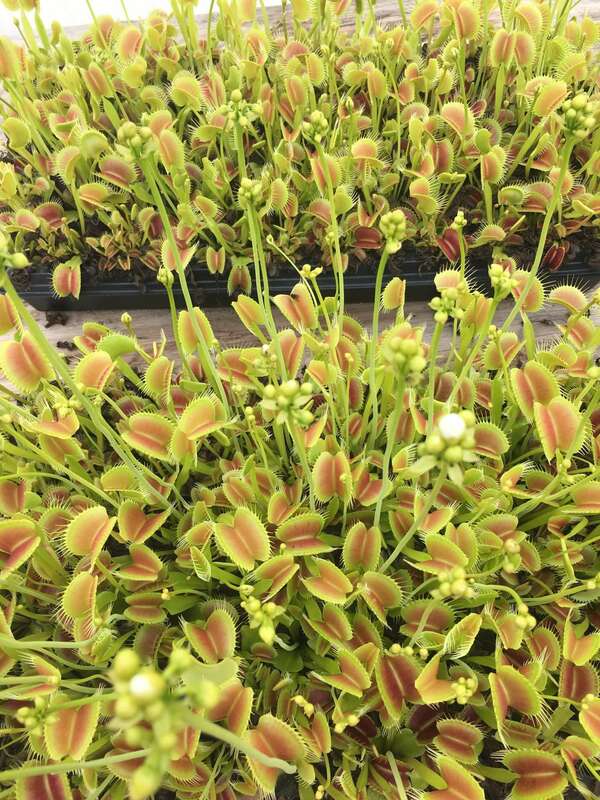 Shipping during dormancy is ideal as it minimizes stress on the plant, and allows them to roar back to life come spring! Don Elkins of Mesa Exotics selectively hybridized this variety of Venus flytrap into existence in 2011 and is happy to offer it to you through Carnivorous Plant Resource! I personally own numerous plants from Don at Mesa Exotics, and his King Henry flytraps are the biggest, most robust, and joy-inducing fly nommers I own! The plants arrive mature and hardened off, ready to produce large traps and to flower and set seed. 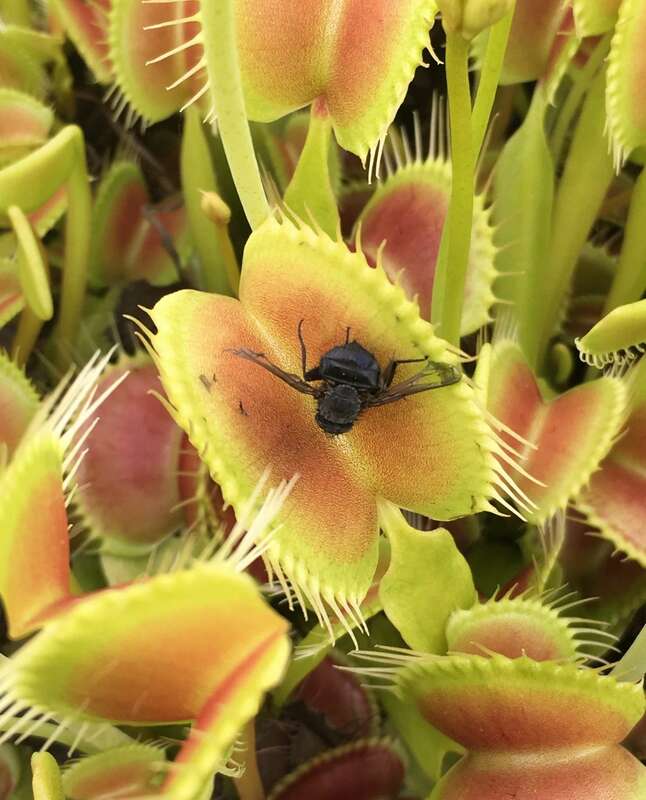 I grow his plants outdoors, year-round in sunny (and hot) Southern California using a water tray, and they love it. 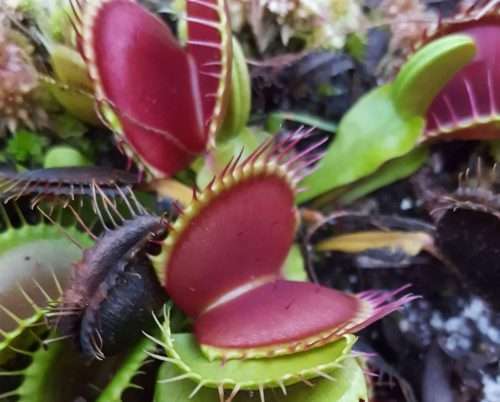 In bright light, trap interiors develop a red tinge to help attract even more insects. 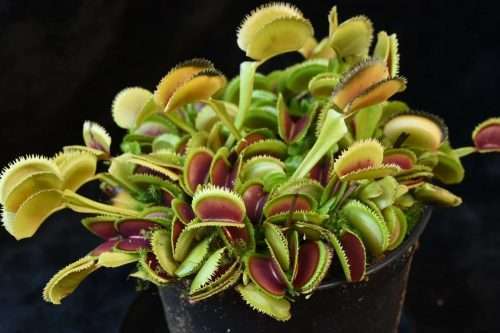 The cool thing is that this is a cultivar created by Don, so the fact that he’s finally selling them online is a real treat!